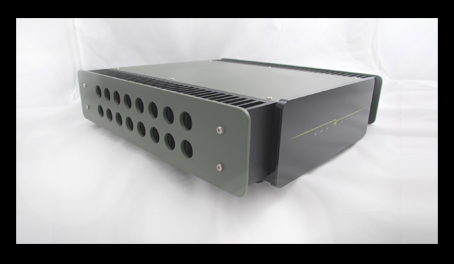 The HX100 power amplifier from Dynavector Systems Australia will be released soon, offering a new level of performance and flexibility. The HX100 has both RCA and balanced inputs and when operating in balanced, it is a true balanced design throughout. It is a 2-channel (stereo) amplifier but can also be operated in mono for greater power output. The HX100 has very large energy storage and like our previous power amplifiers, is capable of extreme current delivery into the load. It is designed to compliment our L200 and L300 preamplifiers. Weight: heavy - if placed on papers, will prevent them blowing away.